DEAR JERRY: In an online auction, I spotted a 45 rpm single of “I've Been Everywhere,” by a fellow called Lucky Starr (Festival 205). The seller admits to knowing nothing about this record, so I'm hoping you can answer my two questions about it. Is this the same song as the big hit by Hank Snow? If so, which version is the original? Finally, will you please list all the cities that Hank mentions? I've tried to write them down, but he sings them so fast, I can't catch them all. —Frank Houseman, New Harmony, Ind. Tullamore; Seymour; Lismore; Mooloolaba; Nambour; Maroochydore; Kilmore; Murwillumbah; Birdsville; Emmaville; Wallaville; Cunnamulla; Condamine; Strathpine; Proserpine; Ulladulla; Darwin; Gin Gin; Deniliquin; Muckadilla; Wallumbilla; Boggabilla; Kumbarilla. Moree; Taree; Jerilderie; Bambaroo; Toowoomba; Gunnedah; Caringbah; Woolloomooloo; Dalveen; Tamborine; Engadine; Jindabyne; Lithgow; Casino; Brigalow; Narromine; Megalong; Wyong; Tuggerawong; Wanganella; Morella; Augathella; Brindabella. Wollongong; Geelong; Kurrajong; Mullumbimby; Mittagong; Cooranbong; Grong Grong; Goondiwindi; Yarra Yarra; Bouindarra; Wallangarra; Turramurra; Boggabri; Gundagai; Narrabri; Tibooburra; Gulgong; Adelong; Billabong; Cabramatta; Parramatta; Wangaratta; Coolangatta. Ettalong; Dandenong; Woodenbong; Ballarat; Canberra; Milperra; Unanderra; Captains Flat; Cloncurry; River Murray; Kurri Kurri; Girraween; Terrigal; Stockinbingal; Collaroy; Narrabeen; Bendigo; Dorrigo; Bangalow; Indooroopilly; Kirribilli; Yeerongpilly; Wollondilly. After about three years on Mack's shelf, Festival recorded Lucky Starr's version. Released in May of 1962, it took just four weeks to dominate the Australian charts. It remained No. 1 into July, earned a Gold Record Award for sales in Australia, and became an international sensation that inspired localized versions in many other countries. Festival themselves led the pack with a four-track EP (FX-10485), “Lucky's Been Everywhere,” containing his Australian original plus newly-recorded variations for Great Britain, New Zealand, and the U.S.
Another notable 1962 track, also tailored for the Brits, is by the Mudlarks. Their delightful take is lyrically different than Lucky Starr's (Decca/Ritz 11537). Meanwhile in Nashville USA, RCA Victor, in August, issued Hank Snow's “I've Been Everywhere,” making the renowned Canadian the first with a North American single of “I've Been Everywhere.” It became a No. 1 C&W hit, and successfully crossed over to the pop market. Wimmumucka, Reno, Chicago, Fargo, Minnesota, Buffalo, Toronto, Winslow, Sarasota, Wichita, Tulsa, Ottawa, Oklahoma, Tampa, Panama, Mattawa, La Paloma, Bangor, Baltimore, Salvador, Amarillo, Tocopilla, Barranquilla, Padilla. Boston, Charleston, Dayton, Louisiana, Washington, Houston, Kingston, Texarkana, Monterey, Ferriday, Santa Fe, Tallapoosa, Glen Rock, Black Rock, Little Rock, Oskaloosa, Tennessee, Hennessey, Chicopee, Spirit Lake, Grand Lake, Devils Lake, Crater Lake. Louisville, Nashville, Knoxville, Ombabika, Schefferville, Jacksonville, Waterville, Costa Rica, Pittsfield, Springfield, Bakersfield, Shreveport, Hackensack, Cadillac, Fond du Lac, Davenport, Idaho, Jellico, Argentina, Diamantina, Pasadena, Catalina. Pittsburgh, Parkersburg, Gravelbourg, Colorado, Ellensburg, Rexburg, Vicksburg, El Dorado, Larimore, Atmore, Haverstraw, Chattanooga, Chaska, Nebraska, Alaska, Opelika, Baraboo, Waterloo, Kalamazoo, Kansas City, Sioux City, Cedar City, Dodge City. Just one year later, Dot Records gave Starr's U.S. “I've Been Everywhere” (45-16506) another shot. And again, Lucky was not lucky in the Northern Hemisphere. Many singers worldwide have since personalized “I've Been Everywhere” to acknowledge their region's locations. A few among them are: Lynn Anderson (U.S.); Brian Burns (Texas); Hayes Carll (Houston); Johnny Cash (U.S.); Eugene Chadbourne (World); Stompin' Tom Connors (Ontario and the Maritimes); Michael Faubion (Alaska); Mike Ford (Canada); Jackie Leven (Germany); Lost Highwayknights (Belgium); Charles McGowan (Scotland); Earl Pickens (Pennsylvania); Simpsons (Springfield, of course); and Ladislav Vodicka (Czechoslovakia). DEAR JERRY: As a Sue from Iowa, “Sioux City Sue” is a personal favorite, whether by Gene Autry, Bing Crosby, or many others I've heard along life's dusty trail. No one I ask has ever heard the pig version, and they think I'm either joking or dreaming. Help! DEAR MASON CITY SUE: With all the attention being paid to livestock, it seems appropriate to refer to “Sioux City Sue,” by Elton Britt, as the stray in the herd. He is the swine trader. Elton's 1960 single (ABC-Paramount 10121) is the version wherein Sue's worth seemingly takes a hit. However, Britt offers pigs (plural), enough of which might trump a single horse. Potential trades aside, I can't rank any version of “Sioux City Sue” above Elton Britt's. IZ ZAT SO? A decade before Elton Britt's million-selling, World War II-inspired “There's a Star-Spangled Banner Waving Somewhere,” he sang, yodeled, and played with the Beverly Hill Billies. This outfit, whose name is strikingly similar to a hit 1960s TV sitcom, made 11 singles for Brunswick between 1930 and '32. A 1961 gold vinyl LP collection of these early tunes, titled “Those Fabulous Beverly Hill Billies (Rar-Arts 1000), now fetches $50 to $100. A true entertainment legend, Alice Cooper is enjoying a banner year. In March he was finally inducted into the Rock and Roll Hall of Fame after more than 15 years of eligibility, and today (Sept. 13) he unleashes Welcome 2 My Nightmare, his 26th studio effort and the sequel to the original platinum-selling concept album. Recorded in Nashville, the disc reunites Alice with Bob Ezrin, who produced the first Nightmare and all of Alice’s ’70s classics. I spoke with Alice while he was in the studio of his worldwide syndicated radio show Nights with Alice Cooper to discuss the new album, his relationship with other artists he’s inspired like KISS and Marilyn Manson, and who he’d like to see inducted into the Rock and Roll Hall of Fame next year. Florence Welch (Florence And The Machine) has recently reveiled the cover art and track list for her sophomore effort, 'Ceremonials.' 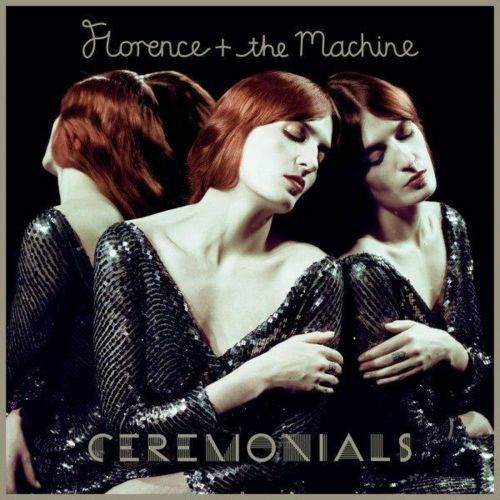 The 12-track album is slated to be released on October 31 in the UK, and one day later on November 1 in the US. Vinyl reissue label, Get On Down, quickly building a solid name for themselves, have a very special treat for fans of iconic post punk-era downtown-NY avant dance music. On October 27 they’ll be reissuing Dinosaur L’s (aka Arthur Russell) one and only classic LP, 24-24 Music, in a deluxe 4xLP package box. The factory workers at Gibson USA's Nashville plant personally recognized the 10th anniversary of the events of September 11th, 2001, by creating three very special guitars. Each of these Les Paul Traditionals feature a custom laser etching designed by Gibson’s top craftsmen. The luthiers started with one of Gibson’s famous Les Paul Traditionals with a gloss Ebony finish. They then created a line drawing for the unique artwork of each guitar that was then loaded into a computer controlled laser to create an engraving into the wood of the guitar body. This ensures that the artwork is a permanent part of the guitar, as opposed to simply being a part of the finish. The first in this series of three is entitle, Never Forget. This guitar displays the Twin Towers standing prominently in the New York skyline. The second guitar in the series is entitled, Always Honor. It is a tribute from the employees of Gibson to those first responders who gave so much of themselves, including their lives, to protect others. The final guitar in the series is entitled, Forever Free. 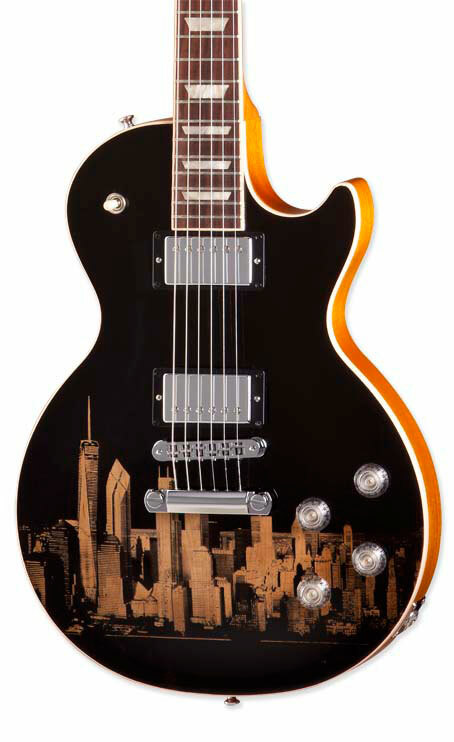 This guitar has a stunning representation of New York’s future skyline, with the Freedom Tower proudly standing tall. The guitars will travel the USA this year, being played by a variety of artists, before being auctioned for charity on 9/11/12 to benefit families of 9/11 first responders. 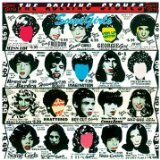 Mick Jagger told Spinner, "I just finished off doing all the outtakes for the Some Girls album we’re releasing at Thanksgiving. We did Exile, we did a lot of different takes, a lot of different cuts that hadn’t come out before, so we’re doing the similar kind of thing with Some Girls, so I’ve just been doing them because a lot of them weren’t complete, so I had to complete them, and then we’re gonna mix those and put them out for Thanksgiving." MANIC Street Preachers will release a brand new track to coincide with the release of their complete singles collection album ‘National Treasures.' The single, called "This Is The Day" will be available from September 18th. ‘National Treasures’ features the band’s 37 previous single releases from the last 21 years and 10 studio albums. ‘National Treasures - The Complete Singles’ is set for release on October 31st via iTunes and iTunes LP, as a double CD, a 2 x CD DVD set featuring all 38 videos and some bonus video content and an amazing box set with 38 x vinyl finish CD Singles, a poster, a DVD of all the videos, 7” vinyl of New Art Riot, Suicide Alley, Jackie Collins Existential Question Time, Manics lipstick and vanity mirror and a limited number will also contain a 7” of Motown Junk. All the singles have been re-mastered. NEW YORK, Sept. 14, 2011 /PRNewswire/ -- "Body and Soul" is the final recording made by Winehouse before her passing on July 23rd of this year, and is released today to mark what would have been the singer's 28th birthday. The single and video of "Body and Soul," has also been released today worldwide on the iTunes Store to benefit The Amy Winehouse Foundation. The Winehouse family announced earlier this morning that they are creating a charitable body, The Amy Winehouse Foundation, to benefit young people around the world. The Foundation will raise money to support projects and charities that need help for specific causes. Tony and Amy's record labels, Sony Music Entertainment and Universal Music Group, will donate royalties from the track to the foundation as well. At the age of 85, Tony Bennett is back on MTV, the network that was largely responsible for introducing him to a whole new generation of fans when they aired his "Steppin' Out" video in 1993 on "MTV's Buzz Bin." Today, Bennett's video with Amy Winehouse of "Body And Soul," dominates MTV, VH1 and MTV U with a 6am ET premiere followed by hourly airings through 9 am ET. MTV will air an encore prime-time premiere at 7:30 pm ET tonight. "Body and Soul' is one of 17 tracks included on Bennett's DUETS II CD, coming out Tuesday, September 20. Heralding in the iPod generation to his fanbase, in the same way decades ago Tony was embraced by the MTV Generation, the DUETS II project is one of the most highly anticipated CDs for the fall. DUETS II features a roster of celebrated artists--including Lady Gaga, Michael Buble, John Mayer, Aretha Franklin, Alejandro Sanz and Carrie Underwood--who joined Tony live in the studio to perform from his catalog of hits. Bennett will be appearing on the finale of "America's Got Talent" tonight, performing with Queen Latifah their duet of "Who Can I Turn To," from the new CD. Bennett performs at a sold out show at the Metropolitan Opera this Sunday night and will be joined on stage by Elton John, Alejandro Sanz and Aretha Franklin. Appearances next week for the CD's launch include the Today Show, The View and The Tonight Show with Jay Leno. Pressing details have finally been released for Blink 182′s, “Neighborhoods”. 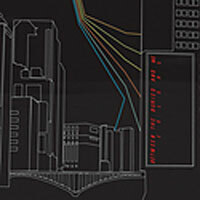 This was originally announced to be a single LP, but is now a double LP! Additionally, the release date has been changed to October 11th. The LP will be available in four colors, standard black available here, Pink (Sold out), a Black/White Marble (Hot Topic stores) limited to 1,000 copies, and an unannounced indie color. We will post details on the Indie color as soon as we have them. BETWEEN THE BURIED AND ME have built their reputation as one of hard rock’s most inventive and ambitious bands. Sharing a lineage with such luminaries as PINK FLOYD, KING CRIMSON and TOOL, they continue to explore new territory with a genuine passion to push themselves and their audience. They dream the impossible and they make it happen time and time again. Looking at their hugely celebrated catalog, it’s exciting to see how far they’ve come and how deep they are willing to go. Venturing into each record is like exploring undiscovered country. From the progressive metal stomp of their self-titled debut, followed by the melancholy of The Silent Circus and then the claustrophobic Alaska, BETWEEN THE BURIED AND ME continue to evolve into a new pedigree that defies any categorization. Colors, the band’s newest record, is a sonic labyrinth of grand proportion. It’s an organism completely in it's own class and at the nerve center is a band that encourages the listener to take the bold ride from beginning to end. The record is a continuous movement of savage metal, lush prog-rock and stimulating mood that morphs into some of the most forward thinking music today. Yet for a record that is so fierce and complex, it is also engaging and comfortable. It challenges the myths of what we expect from modern rock, demonstrating just how much potential there is in a band and the people who experience their craft. 7. The Flaming Lips w/ Lightning Bolt - I'm Working At NASA On Acid 12"
19. Bad Sports - Nothin' To Do 7"
20. Neon Indian - Fallout 7"
21. Lanie Lane - Ain't Hungry 7"
22. Zach Galifianakis - Up In Them Guts 7"
The Chicagoland Record Collectors Show is this Sunday, September 18, at the Best Western Hotel Chicago in Hillside – 4400 Frontage Road Hillside, IL 60162. The show runs from 9:00 AM to 4:00 PM, and will cost you just $3.00 to get in (kids under 12 are free). amazing stuff that we record collectors do, read how one man in the uk is helping out a fellow collector! A KINGLASSIE man has helped a record collector from England who had his collection of vinyl records and music memorabilia stolen, reports KEVIN QUINN. Arthur Fotheringham, a volunteer at the local radio station, K-Town FM, sent some rare records he had to Peter Johnson in St Albans- who had his collection of rare Elvis records stolen. Peter Johnson discovered the theft late last year when he returned from the annual meeting of the Elvis Presley Fan Club in Maplethorpe, Lincolnshire. Thousands of pounds worth of collectors items had been taken by the thieves who had picked the lock on his garage. In 1814, Francis Scott Key wrote the lyrics to the "Star-Spangled Banner." The song became the official US national anthem on March 3, 1931. In 1962, Tamla Motown Records released Mary Wells' "You Beat Me To The Punch", The Marvelettes "Beachwood 4-5789" and The Contours' "Do You Love Me" on the Oriole / American label in the UK. In 1963, The Beach Boys' "Surfer Girl," the first song ever written by Brian Wilson, peaked at #7 on the Billboard Pop chart. The single would achieve Gold Record status later in the year and reach #13 in the UK. The song was first released on an album in 1963 on the band's Surfer Girl album. The "Surfer Girl" single backed with "Little Deuce Coupe" was released under Capitol Records in the United States on July 22, 1963. The single entered the Billboard chart on August 3 and it would then hit the Top 40 on August 17 at the number 28 position. After the single had been on the charts for six weeks it peaked at number 7 on September 14, 1963. It placed at number 5, for three weeks, in Cash Box and number 3 in the UPI weekly survey used by newspapers. Its regional performances belie even these higher national peaks, having risen to #1 in playlists in Los Angeles (four weeks), San Francisco (six weeks), Philadelphia, Boston and Dallas—all major markets where it was among the very biggest hits that year; and runner-up or top three in Washington DC, Toronto, Montreal, Sacramento, Minneapolis, Columbus, Pittsburgh. The single also peaked in the U.S. Billboard R & B chart at number 18 in September 1963. Brian explained the genesis of the song: "Back in 1961, I'd never written a song in my life. I was nineteen years old. And I put myself to the test in my car one day. I was actually driving to a hot dog stand, and I actually created a melody in my head without being able to hear it on a piano. I sang it to myself; I didn't even sing it out loud in the car. When I got home that day, I finished the song, wrote the bridge, put the harmonies together and called it 'Surfer Girl'." The band first recorded the song at World Pacific Studios on February 8, 1962 which was one of the band's first ever recording sessions. However, the recordings from that session, engineered by Hite Morgan, would ultimately remain unreleased until later archival releases. The instrumental track as well as the vocals for the officially released version were recorded at Western Recorders on June 12, 1963. The session was produced by Brian; the first song, along with "Little Deuce Coupe", to be credited as a Brian production. The musicians on the track are David Marks and Carl Wilson on guitar; Brian Wilson on bass guitar and Dennis Wilson on drums. In 1968, the Chambers Brothers' "Time Has Come Today" entered Billboard's Hot 100, where it will climb to number eleven. In 1968, "The Archies" premiered on CBS. The cartoon was based on the comic book series. The records that were credited to this make believe group were recorded by Ron Dante, Andy Kim, Jeff Barry and others. Their biggest hit would turn out to be a song called "Sugar, Sugar", that went to number one in 1969, selling over six million copies. In 1968, Big Brother and the Holding Company's LP, "Cheap Thrills" entered the Billboard LP chart, where it will stay for 29 weeks, including 8 at #1. In 1969, Genesis played their first gig for money in Surrey, England, at a cottage owned by a Sunday school teacher. In 1978, the Grateful Dead played at the foot of the Great Pyramid in Egypt. In 1979, the film Quadrophenia was released. It was ased on The Who’s 1973 rock opera and the film featured Phil Daniels, Toyah Willcox, Ray Winstone, Michael Elphick and Sting. Pink Floyd's movie "The Wall" began production in 1981. At the first MTV Video Music Awards in 1984, Madonna performed her iconic hit "Like A Virgin" wearing a combination bustier/wedding gown, including her trademark "Boy Toy" belt. During the performance, she rolled around on the floor, revealing lacy stockings and garter. Cyndi Lauper spoke in "Exorcist-esque gibberish" to explain the VMA rules right before winning the Best Female video for "Girls Just Want to Have Fun." In 1985, recording sessions for The Bangles' second album, "Different Light" wrap up at the Sunset Sound Studios in Hollywood, California. The LP will produce the band's first of three Billboard number one hits, "Manic Monday" which was written by Prince under the pen-name Christopher. In 1995, hand written lyrics for "Getting Better" by Paul McCartney sold for $249,000 at a Sotheby's auction. In 1997, over 2000 fans watched Pete Townshend unveil a English Heritage Blue Plaque at 23 Brook Street, Mayfair London, to mark where Jimi Hendrix had lived in 1968-69. Hendrix was the first pop star to be awarded with the plaque. The Strokes made their live debut at The Spiral in New York in 1999. In 2001, Clear Channel Communications, the largest owner of radio stations in the United States, released a list of "lyrically questionable" songs that stations may want to pull from their play lists, following the terrorist attacks on The World Trade Center and The Pentagon. That list includes such classic rock standards as: "Jet Airliner" by Steve Miller, "Dust in the Wind" by Kansas, "Knockin' on Heaven's Door" by Bob Dylan and "Eve of Destruction" by Barry McGuire. 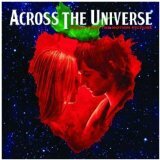 In 2007, the movie 'Across the Universe,' based around the music of the Beatles, opened.